Enter signs and other directional signs help communicate to motorists the various rules of the roads around your facility or business. An enter sign can be used to point towards your office entrance or point towards parking lots. 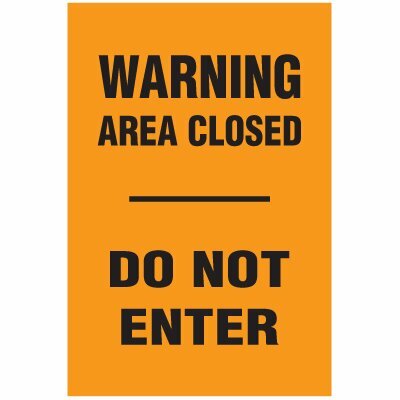 At Seton, we have various enter signs and other traffic signs that help you maintain order, including Door and Window Decals - Enter that display messages of “Enter,” and “Do Not Enter,” on both sides. With dozens of options available, you’re sure to find the perfect enter sign for all your uses at Seton. Enter signs allow you to control the flow of traffic around your facility. Whether it be foot traffic or cars on the road, an enter sign clearly spells out where to head if you’re looking to get in. At Seton, we offer dozens of different types of enter signs and other traffic signs, including a-frame signs that read “Enter,” and Designer Property Signs – Enter. This enter sign is made of a weather-resistant, rustproof aluminum and can be upgrade with Seton UltraTuff™ overlaminate. Choose from among six colors to compliment your company’s image. We also offer Parking Lot Signs – Enter Here which are easy to spot in all weather situations. These enter signs are available in non-reflective steel, Engineer Grade reflective aluminum or High Intensity reflective aluminum. Options made from aluminum are MUTCD compliant. All these materials are guaranteed to withstand harsh environments for between 5 to 7 years, and can be upgraded with Seton UltraTuff™ overlaminate for a lifetime guarantee. Post enter signs around your facility today to regulate traffic in and around your business.